War Dogs is based on the unlikely Iraq war profiteering of a pair of American twenty-somethings. We follow Miles Teller, a supposedly likeable loser who having sunk his life savings into a dodgy bedsheets business, dons a baby pink polo shirt to massage lascivious older men for seventy-five dollars an hour. 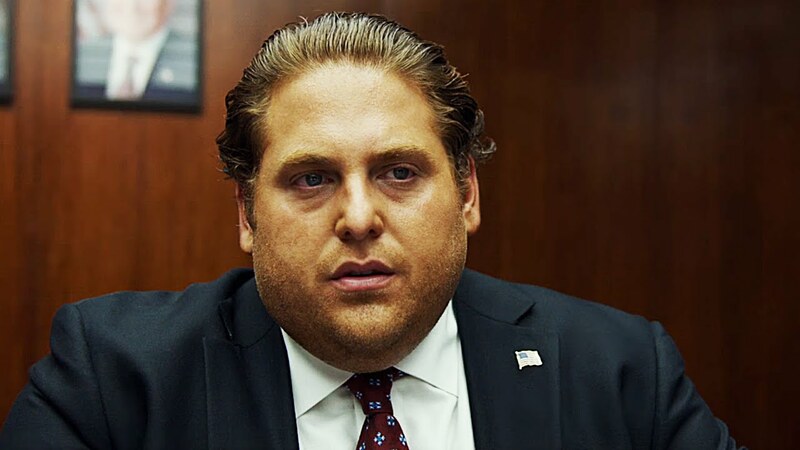 Jonah Hill plays his successful, eyebrow wigglingly dubious school friend, whose lies and hubris drag the pair into a series of ever more dubious arms deals. Todd Phillips made a career out of fusing comedy with ‘high concept’ action, raking in a fortune from the Hangover trilogy. Hill transcended gross out comedy to earn an Oscar nomination for his outsized role in Scorsese’s Wolf of Wall Street. Teller, hazed in a series of frat house comedies, gained attention for his turn in critical darling ‘Whiplash’. So can the Philips succeed in wringing engaging and humorous performances from such promising leads? Not a bit. Teller is a floating blindspot at the centre of the film, an airhead everyman dragged down by his trusting nature. Hill plays a less entertaining version of his Wolf of Wall Street character. His eccentricities here amount to a fondness for cocaine and automatic weapons, and an annoying laugh. Bradley Cooper cameos as a daft baddy, with tinted predator glasses that swell his eyes to owlish peepers. The lack of subtlety would be forgivable were the film at least fun. But the uninspired fish out of water storyline is poured down our throats by a never-ending voiceover and swathes of expository dialogue. As an arms dealer action film it lacks the energy, dramatic arc and visual flair of Andrew Niccol’s Lord of War. As a buddy comedy it’s missing the absurdist set pieces that distinguish the Hangover films. Even Michael Bay’s recent crime caper Pain & Gain featured better pacing, more acerbic humor, and more engagingly deluded characters. War Dogs’ signposted soundtrack is worthy of special mention. Hill conceals some off screen debauchery to the opening bars of ‘Girl, You’ll be a Woman Soon’. A retirement community features a rendition of ‘Don’t Fear the Reaper’. Teller’s argument with his girlfriend prompts ‘Behind Blue Eyes’. The struggle to conjure emotion from such tepid material has prompted some heavy soundtrack expenses. Despite its best efforts, like Jesus carrying you in the sand, this film leaves no lasting impression.